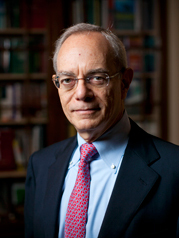 Since July 2012, Rafael Reif has served as the 17th President of the Massachusetts Institute of Technology (MIT), where he is leading MIT’s pioneering efforts to help shape the future of higher education. A champion for both fundamental science and MIT’s signature style of interdisciplinary, problem-centered research, he is also pursuing an aggressive agenda to encourage innovation and entrepreneurship. In education, his central focus has been the development of the Institute’s latest experiments in online learning, MITx and edX, which he spearheaded in his previous role as MIT provost. While fostering the rapid growth of the open online learning platform edX – which as of November 2018 had engaged more than 18.4 million unique learners, drawn from every country in the world – Dr. Reif also launched an Institute-wide Task Force on the Future of MIT Education. Its final report spurred rapid adoption of blended learning models in MIT classrooms and the October 2015 announcement of a MicroMaster’s credential from MITx (the Institute’s portfolio of massive open online courses), which inverts the traditional admissions process by allowing applicants to demonstrate their ability to handle MIT graduate-level material before applying to a master's degree program. Another outgrowth of the Task Force report was the February 2016 launch of the MIT Integrated Learning Initiative (MITili), an intense interdisciplinary exploration of the deep mechanisms of learning, which aims to make teaching more effective. In keeping with MIT’s mission to “bring knowledge to bear on the world’s great challenges,” in May 2014, Dr. Reif launched the MIT Environmental Solutions Initiative and the Abdul Latif Jameel World Water and Food Security Laboratory. In October 2015, inspired by a yearlong campus conversation about MIT’s most effective path forward against global warming, Dr. Reif and his leadership team issued MIT’s Plan for Action on Climate Change, centered on research, education, campus sustainability and a strategy of industry engagement. From the start of his administration, Dr. Reif has made it a priority to equip the next generation of innovators with the tools they need to drive their ideas to impact. In October 2016, MIT launched The Engine, an accelerator specially geared to help new ventures turn “tough technologies” into innovations that address humanity’s great challenges. This marked the latest in a suite of efforts to make MIT the most stimulating and supportive academic environment in the world for innovation. Previous steps include the October 2013 launch of the MIT Innovation Initiative, the November 2015 announcement of the MIT Hong Kong Innovation Node, the Fall 2016 creation of a new Minor in Entrepreneurship and Innovation and the January 2016 announcement of the MIT Sandbox Innovation Fund Program, which gives student-initiated projects the early support and mentoring to get off the ground. To accelerate research and innovation at the nanoscale, MIT constructed MIT.nano, a major new facility at the heart of campus. And because MIT’s entrepreneurial ecosystem extends well beyond the campus, Dr. Reif is leading an ambitious, decade-long redevelopment initiative in Kendall Square. 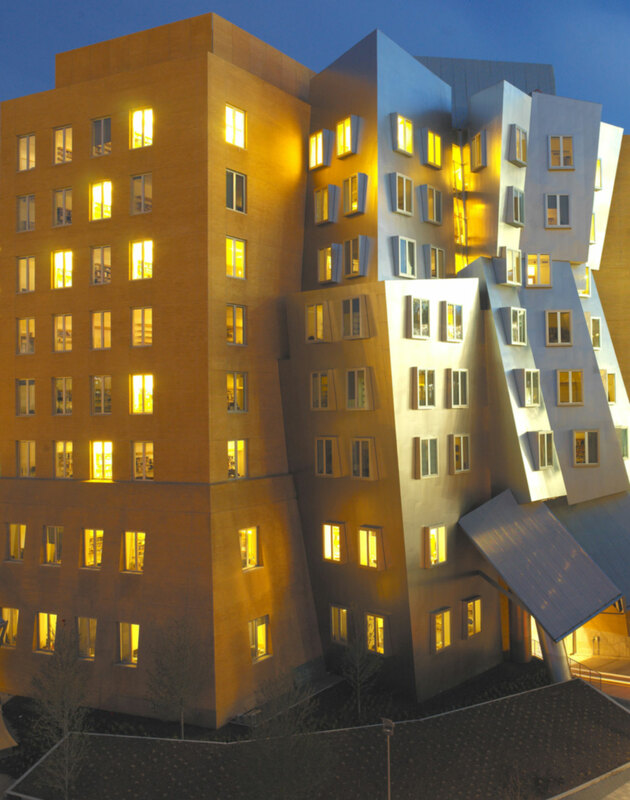 To advance the frontier of human and machine intelligence and to accelerate the invention of AI tools for every discipline, in February 2018, Dr. Reif announced the MIT Quest for Intelligence. That same month saw the start of the MIT Task Force on the Work of the Future. And in October 2018, in response to the ubiquity of computing and the rise of AI across disciplines, he announced the MIT Stephen A. Schwarzman College of Computing, the most significant reshaping of MIT since the 1950s. At the national level, in 2013, then-President Obama asked Dr. Reif to co-chair the steering committee of the national Advanced Manufacturing Partnership (AMP 2.0), which spurred the creation of a network of Manufacturing Innovation Institutes (MIIs). In April 2016, Dr. Reif announced that MIT had won the lead role in the Advanced Functional Fibers of America (AFFOA) Institute, an MII designed to accelerate innovation in high-tech fiber and textile manufacturing in the US. On May 6, 2016, Dr. Reif announced the $5 billion “MIT Campaign for a Better World,” which ended the 2018 fiscal year having raised $4.3 billion from more than 96,000 donors. Before becoming president, as MIT’s provost (2005-2012), he helped create and implement the strategy that allowed MIT to weather the global financial crisis, drove the growth of MIT’s global strategy, promoted a major faculty-led effort to address challenges around race and diversity, and helped launch the Institute for Medical Engineering and Sciences. A member of the MIT faculty since 1980, Dr. Reif has served as director of MIT’s Microsystems Technology Laboratories, as associate department head for Electrical Engineering, and as head of the Department of Electrical Engineering and Computer Science (EECS). In 2004, he was named the Fariborz Maseeh Professor of Emerging Technology, a title he held until he was selected as president. He remains a mentor and advocate for students, serving each year as a freshman advisor. In 1993, Dr. Reif was named a fellow of the Institute of Electrical and Electronics Engineers (IEEE) “for pioneering work in the low-temperature epitaxial growth of semiconductor thin films,” and in 2000, he received the Semiconductor Research Corporation’s Aristotle Award. An elected member of the American Academy of Arts and Sciences, the National Academy of Engineering and the Chinese Academy of Engineering, he is the inventor or co-inventor on 13 patents, has edited or co-edited five books and has supervised 38 doctoral theses. He also belongs to Tau Beta Pi, the Electrochemical Society and the IEEE. In 2018, Great Minds in STEM, a non-profit that promotes STEM educational awareness programs, named him its Engineer of the Year. In 2015, he received an honorary Doctor of Laws degree from the Chinese University of Hong Kong. He has also received honorary doctorates from Tsinghua University (2016), the Technion (2017) and Arizona State University (2018). Dr. Reif received the degree of Ingeniero Eléctrico from Universidad de Carabobo, Valencia, Venezuela, and served for a year as an assistant professor at Universidad Simón Bolívar in Caracas. He earned his doctorate in electrical engineering from Stanford University, where he spent a year as a visiting assistant professor. After moving to MIT, Dr. Reif held the Analog Devices Career Development Professorship in the EECS Department and an IBM Faculty Fellowship from MIT’s Center for Materials Science and Engineering. He received a United States Presidential Young Investigator Award in 1984.